I've only been to Texas once so I don't really need the 'Everything's Bigger' state in our home, so I thought it would be nice to show homage to our own state and the place where we bought our first nest. 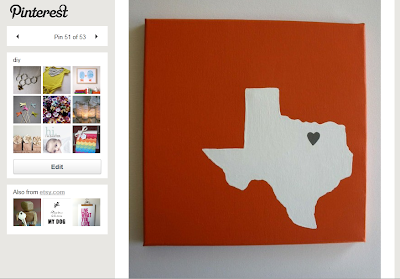 I started by buying a canvas panel from Hobby Lobby for under $10, and grabbed some acrylic paints at about $1 a piece. I already had the frame from Ikea which was about $20. So with my wallet $35 lighter, I started my own original art. 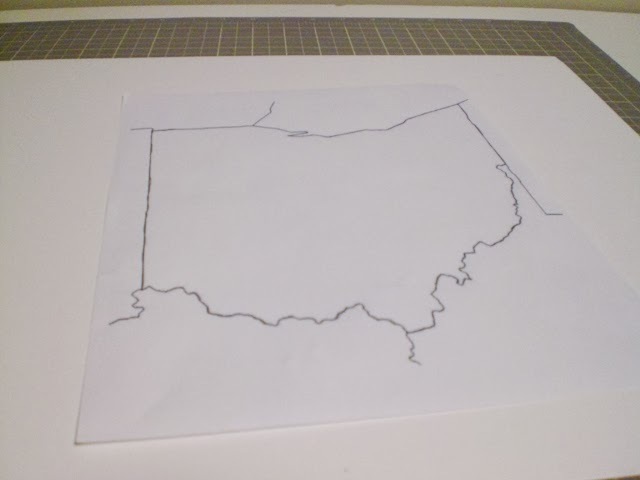 I started by printing out an outline of Ohio the size I wanted. 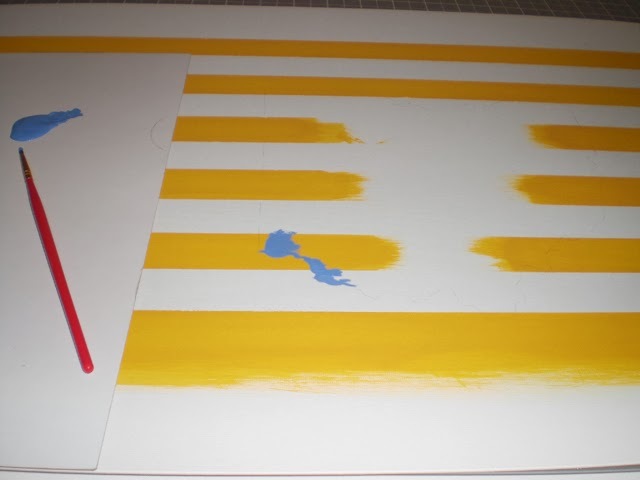 I then did an ol' transfer trick by turning over the printout and using a pencil to draw along the outline on the state. Then, I turned it over and placed it on the canvas where I wanted it and drew along the outline on the right side and when I picked it up I was left with a light pencil outline of the state. I tried taking a picture, but the pencil was too light and wasn't able to capture it. 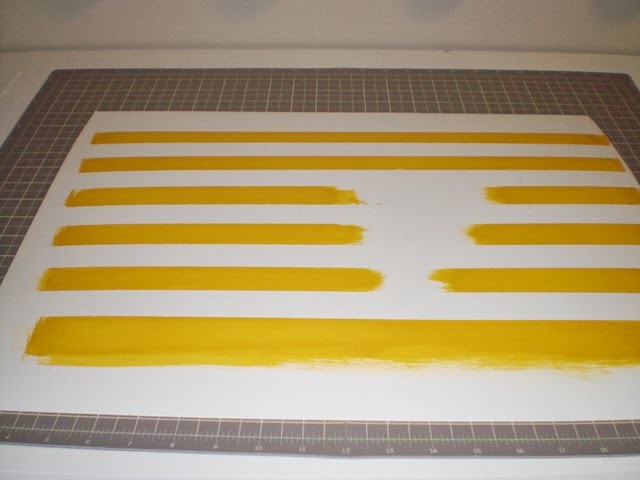 Instead of the solid background, I chose to do stripes and picked a cheery yellow and just used painters tape to make stripes and painted everything else. 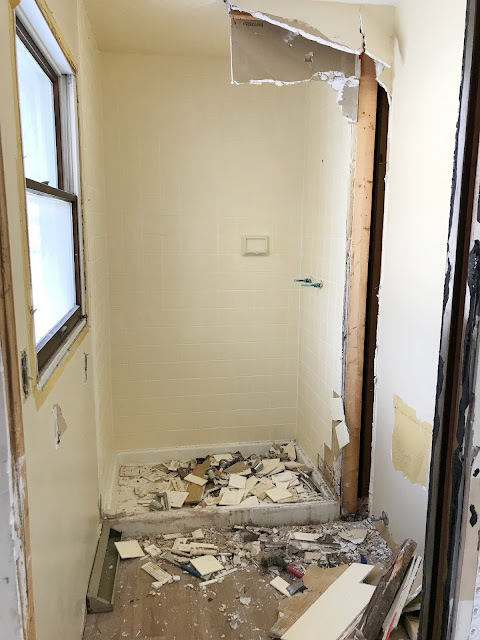 I tried to paint around the state outline and paint lightly so that I didn't get any build-up under the state. 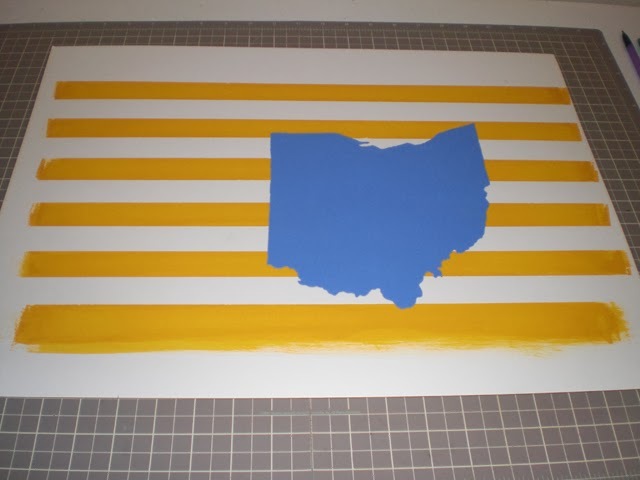 After the yellow paint was dry I then used a small (and cheap) paintbrush to outline the state and just filled it in. 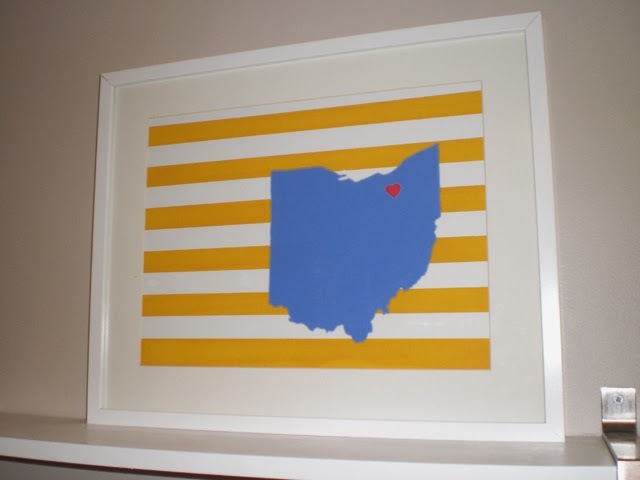 After the blue paint was dry I added a read heart over our home and added it to my frame. 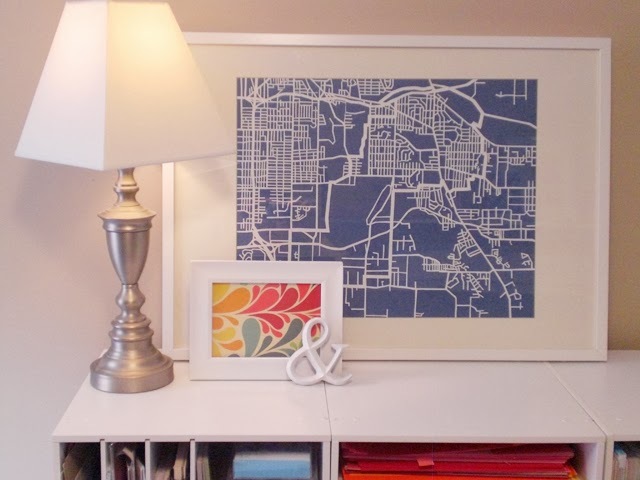 2, did you DIY the small colorful peice you have in front of your cut out art? do you have a tutorial on that because i absolutely love it. 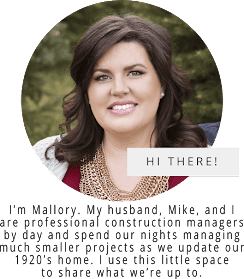 3, i just stumbled upon your blog via pinterest and i think its wonderful! thanks for sharing so many great things! The small frame in the last picture is just some scrapbook paper. It's called Sea Garden by Cosmo Cricket and is one of my favorite designs. I got a couple sheets at my local Michael's, and I'm sure any crafting/scrapbooking store would have it!